why students and classes should visit my blog! My blog is going to be very interesting so enjoy it! 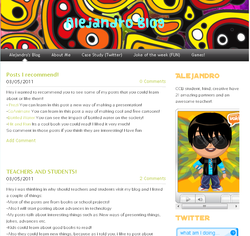 In the class everyone made their own blog but i liked alot the one of my friend Alejandro!!! The first time i saw this new psp i cant believe it!!!! touch screen,gps,camera,microphone,bluetooth.internet,movement sensor and more things!!!! The graphics of this new psp are almost like the ps3 graphics. in school we had a guest that was a publicist!!!! if one company wants to communicate something to tenists the company put posters on tennis fields. The best football trick play!!! !don´t you think it? i almost fell asleep in the school!!!! 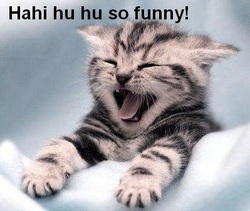 today after P.E class i was so tired that i slept in break time and i almost fell asleep in class!!!!!!! Do you know why mickey mouse went to the space? On saturday i went to watch a movie called The green hornet. It was an awsome movie!!! if i was the one who rate the movies i will rate this movie 5 stars!!!! !